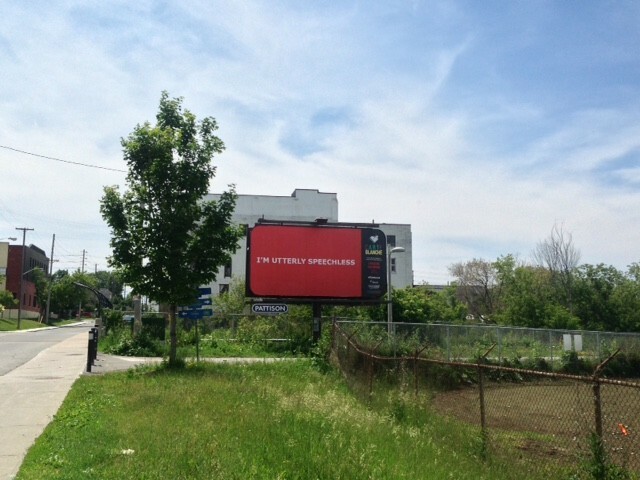 City of Ottawa Public Art Program in partnership with the PATTISON Outdoor Advertising Art in Transit. Clickbait references an online marketing strategy that provides information to appeal to the curiosity of a broad audience. At the expense of quality or accuracy, unexciting statements are followed by exaggerated declarations to form sensational headlines that encourage an individual to click on a link and then re-direct their internet navigation. 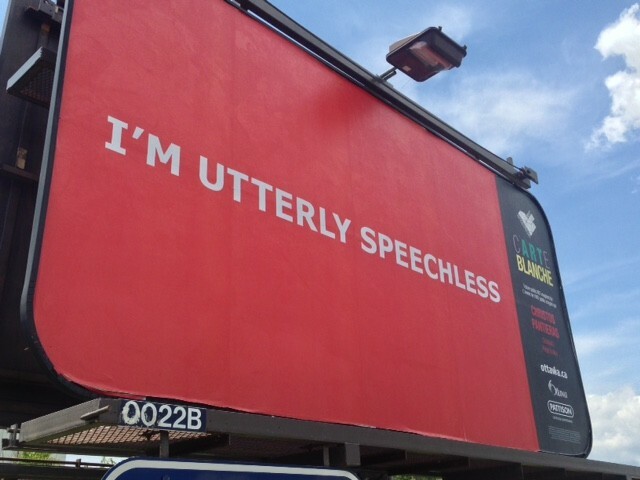 The text “I’M UTTERLY SPEECHLESS” is a nod to both success and to disbelief. 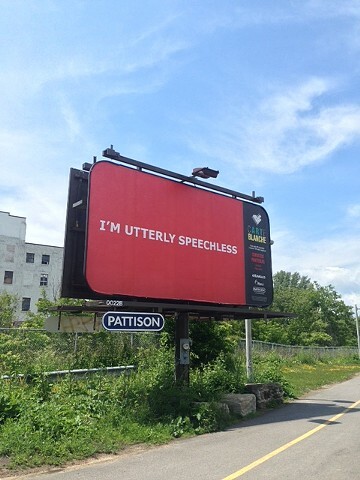 The City of Ottawa Public Art Program has resulted in some stellar public art commissions. There have also been some rather uninspiring commissions that have not reached their full envisioned potential or that have emerged through the independent initiatives of local organizations. By building from both the successes of public art and learning from those commissions that did not meet public and/or critical expectations, we now have an informed eye to the future. 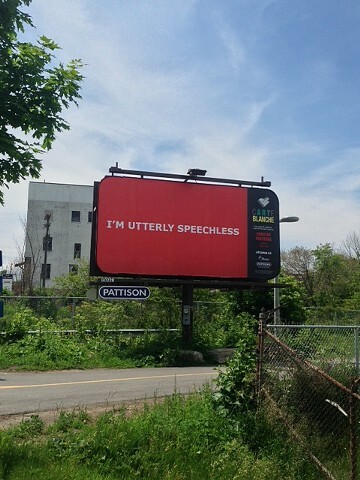 Clickbait aims to invite a dialogue about the untapped and future potential of public art in Ottawa. Infrastructure is expanding and this ever growing city is poised to make its mark on a local, national, and global level. With vision and due process, the next 30 years will be filled with vast possibilities and engaging works of art.